Do you know what fossil fuel is? Do you know that fossil fuel is renewable? Still thinking??? No worries…here we deal with the question, what is fossil fuel, types of fossil fuels, pros and cons of fossil fuels and also describes whether fossil fuel is renewable or non-renewable energy? Fossil fuel is a form of energy that is formed due to the accumulation of dead and decayed matter that was buried over the years. They are basically hydrocarbons of biological origin and are also known as mineral fuels. Coal, petroleum, oil, natural gas, heavy oils, bitumen and tar sands are some varieties of fossil fuel. All these contain carbon. Fossil fuels were used from 18th century soon after the industrial revolution. It has been widely used since then. 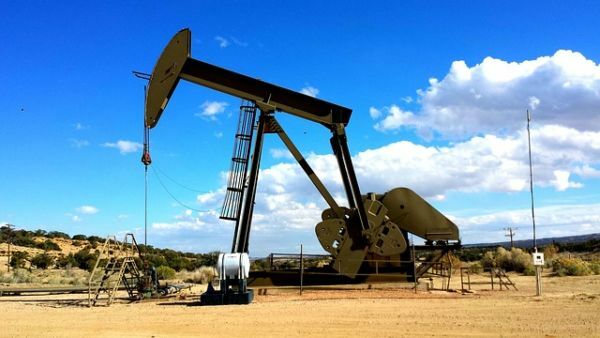 New technology like hydraulic fracturing, rotary drilling and directional drilling are used in the extraction of fossil fuel. After the combustion of fossil fuel, carbon dioxide and methane is released which are considered green house gases. The word petroleum is derived from a Latin word “petro” which means rock and “leum” which means oil. Crude oil or petroleum is the most common form of fossil fuel. It is commonly known as black gold. Around 500 million years ago, tiny sea creature existed that were called diatoms. It is believed that these creatures had an ability to convert sunlight into stored energy similar to what the plants do. So when these creatures die, they get buried at the bottom of the ocean. Due to the pressure of the rocks and tremendous heat over the years, these decomposed matters got converted to oil. The oil produced naturally remains underneath until it is discovered. This is how oil is formed. Coal is considered as the most abundant fossil fuel. 25% of the electricity comes from energy generated by coal. During primitive period, when plants and animals died, they fell into the ocean. After the decomposition, layers of soil, rock and sand got accumulated over it. Over the period of time, these layers decomposed into a spongy substance called peat. Finally due to the pressure of the earth and the heat exerted on the peat, coal was formed. 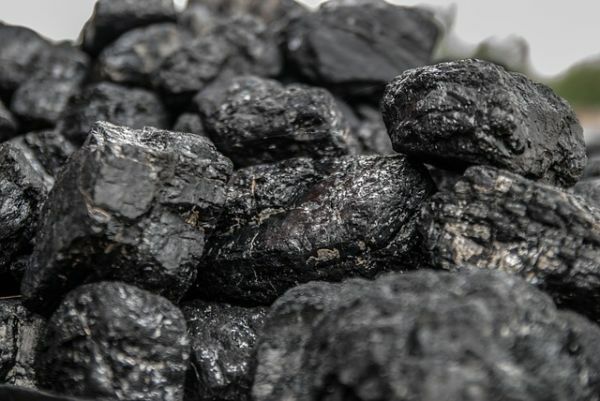 The 4 types of coal are lignite, bituminous, sub-bituminous and anthracite. Natural gas is a commonly used clean fossil fuel. It consists of methane, ethane, propane and butane. Sulfur is a major content in natural gas which leads to the formation of sulfur dioxide and sulfur trioxide. Natural gas is commonly residential and commercial purposes. It can also be used to generate electricity. It is formed when crude oil is vaporized. No ash is formed in this process. Orimulsion is derived from bitumen usually found in the Orinoco oil belt. This is commonly used in commercial boiler fuel power plants. Orimulsion is the most economic fossil fuel that can generate electricity. Availability : fossil fuels are available in plenty and any more reserves are yet to be discovered. Since these are naturally occurring, its procurement is easier. Efficient fuel : fossil fuels are one of the most efficient fuels. The energy generated from a very small quantity of fossil fuel is large as compared to other forms of fuel. Provide employment opportunities : a lot of job opportunities are generated and created by fossil fuel industry. Right from its discovery, procurement till production and transport. This in turn adds up to overall economic development of the country. Set up anywhere : unlike other sources of energy and their respective industries, fossil fuel can be set up anywhere because of its abundant availability. Easy transportation : the transportation of fossil fuels are comparatively easy as compared to the other resources because it is done through pipes. Huge underground pipes are laid for the transportation of oil and gas which makes it safe and easy. Located easily : most of the suspected ares are dug for the procurement of oil, coal or gas. So it is confirmed that these areas will have reserves of fossil fuels also. So it is easier to find and locate fossil fuels. Electricity generation : large amount of electricity is generated from a small units and location of fossil fuel. Carbon emission : this is one of the major issue regarding fossil fuels. A lot of carbon dioxide is emitted during the process. This affects the oxygen-carbon dioxide balance in the atmosphere. The natural life cycle gets disrupted in the process. Large quantities : some of the fossil fuels like coal are required in large quantities for the production of required amount of energy. Misuse : these fossil fuels are more likely to be misused because it is free source of energy and can be extracted by anyone, anywhere. Hazardous : the fossil fuels like coal produces carbon dioxide when burned which gives off sulphur dioxide. This is a green house gas which badly and negatively affects the environment. This triggers the depletion of ozone layer which in turn causes global warming and drastic climate change. Spilling : mostly these fossil fuels are transported through underground pipes. So it is likely that it will get spilled in the process. Checking this is not possible always as they are lengthy tunnels. So this can cause soil pollution and serious environmental issues. Non renewable source : even though the fossil fuels are naturally occurring, they come under the category of nonrenewable source because it takes a longer time to get replenished or sometimes does not replenish at all. As per a study by an Australian scientist, it takes atleast 100 years for the fossilization process. High cost : it is expensive and high cost is incurred in setting up fossil fuel extraction factories and industries. A lot of cost is incurred in setting up of new technology plants for the production of required energy. Time consuming : the whole process, starting from recognition of sites, extraction, transportation and till the final product, it is a time consuming process. So it is not a cost effective process too. Fossil fuels are those naturally occurring fuel that are found beneath the earth’s surface. Natural gas, petroleum and coal are some of common examples of fossil fuels. Though these fossil fossils are renewable source of energy, due to extensive use, it has come under the category of non renewable resource and facing depletion. The emission from these is harmful the environment and can cause serious health issues. Air pollution and soil pollution are the two main after effects which is hazardous to the environment as a whole. Coal miners and gas drillers always develop lung diseases and cancer that can be fatal. The combustion of fossil fuel can make the environment more acidic which will severely affect plant, animal and human life. Proper technical advancement should be made in this field so that all these are properly utilized without proper wastage. Measures should be taken to create awareness about the multiple uses of fossil fuels so that it will be used carefully. Unauthorized mining should be banned so as to protect and preserve these resources for future use. Alternative energy sources should be discovered so that future generation will be benefited. What is Biofuel? what are its different types and its advantages?